Task: Checking bodywork welds at AUDI in Brussels, even in places that it is impossible or difficult for operators to get to. Solution: A CR-7iA/L cobot is fitted with a vision system for checking welds. The cobot works together with the operators to supplement the quality control procedure carried out by them. Result: The quality control operators have more confidence in their results because the robot takes on some of their tasks and so creates additional opportunities without jeopardizing the role of the operators themselves. 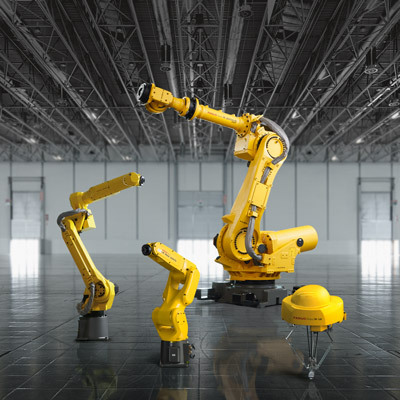 Despite its green exterior, the FANUC CR family operates like any other FANUC robot with the FANUC interface for easier learning, programming and set-up. Technology plays an important role at Audi and the company is doing all it can to lead the way in this regard. “A good example of this is that this year we were the first Audi factory to bring out a CO2-neutral product when we introduced a new product, namely the Audi e-tron”, says Patrick Danau, Managing Director of Audi in Brussels. A lot of robots are already used in the factory and now there are also collaborative robots. 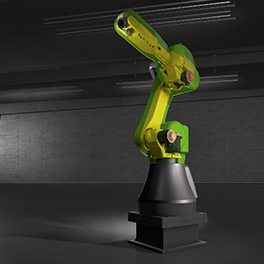 In a project realised in conjunction with FANUC, a CR-7iA/L cobot is fitted with a vision system for checking welds. In future Audi will use even more collaborative robots in the production process.